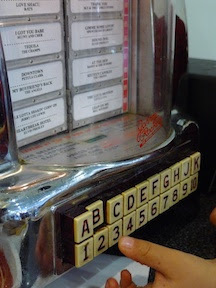 For a nickel a try, we used the jukebox to practice some alphabet and numbers. B3 was Elvis' Hound Dog. 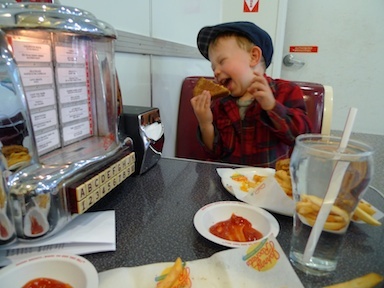 Starboy thought it was a swell lunch. Dude that is too cute.